One of my favorite podcasts is Shankar Vedantam’s Hidden Brain from NPR. On a recent podcast, called “Crickets and Cannibals,” he was interviewing Rachel Herz on the topic of disgust. Rachel has written a book called That’s Disgusting: Unraveling the Mysteries of Repulsion. In this book she poses an interesting idea. She contends that while we are not disgusted by the fact that we have saliva in our mouth when we drink a glass of water, we would be less eager to drink that glass of water after spitting in it. Her research into disgust tells her that we experience this emotion when something from the outside that is contaminated threatens to come inside of us. This fear works to keep us safe and it is so strong we even fear contaminating ourselves with our own spit. I am eyeing my toothbrush in a whole new way. Disgust is thought to be a basic emotion, likely one we are born with. Even though disgust is a basic emotion we are taught how to use that emotion. For instance, most people I know would be disgusted by the thought of eating insects, but that is not true of a rather large segment of the world’s population. We learn what is disgusting from the people around us. It is as if we have this unspoken agreement about what could possibly contaminate. It is not just possible food items that make us feel disgust. Moral disgust is when we are disgusted by behavior. This is also learned – but the internet suggest to me it is not learned very consistently. The idea behind moral disgust is that we do not want to be around people who do things that go against our moral code because we fear their actions will rub off on us. To a certain extent that is true. We may not begin to behave like that person but we will likely loosen our moral behavior about other things and certainly our reputation may be tarnished. Human beings typically have a strong sense of moral disgust unless the bad behavior in question comes from a favorite movie star, sports figure, or politician. Then we are quick to make excuses. I guess we don't worry about contamination if we get something else that we want such as entertainment or political power. During Holy week we celebrate the Last Supper. Here is an event full of potential disgust. The disciples are not aware that soon they will be ashamed to be associated with Jesus. Judas shows behavior full of disgust for his Messiah and later hangs himself from a tree out of disgust for what he did. Then to top it off, Jesus asks the disciples to eat His flesh and drink His blood. Yet, when Jesus teaches us this sacrament it is anything but disgusting. It is an act of sacrifice, it is forgiveness, it is mercy. In this instance something from the outside does not contaminate us. Instead it is something good that will spread in us and overtake the contamination of sin. 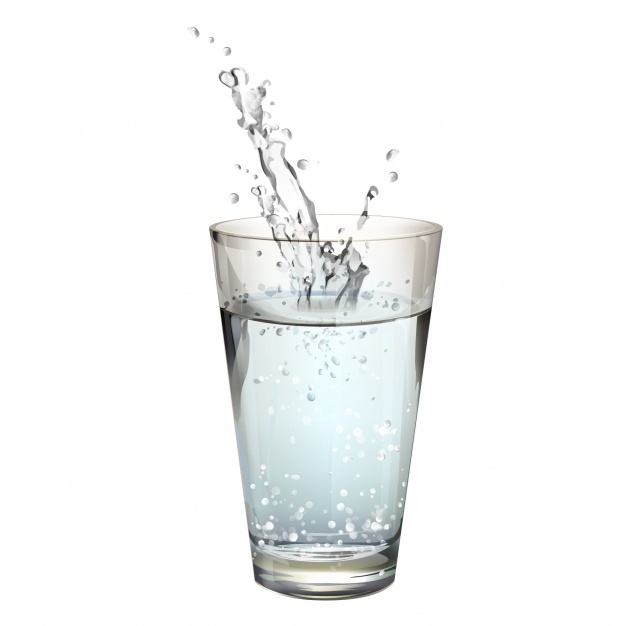 While spit can contaminate a glass of water, a drop of clean water will not decontaminate a glass of spit. Yet Jesus’ body and blood does just that. It washes away all evidence of our sin. It leaves us standing clean before God. God takes something disgusting and makes it sacred. He takes us, steeped in the sin that comes from inside us, and makes us white as snow. Because of our beautiful Savior all that is disgusting within us has been made clean. May your Easter be blessed by this joyful truth.